Tropical Battery Co. Ltd. was founded in 1950 by Tex Williams, an American businessman. In 1967 the company was purchased by John Melville and it remains in the Melville family today. Tropical Battery originally started as a manufacturer of lead acid storage batteries. In the early 1990’s, Tropical Battery changed its business model from being a manufacturer to a major distribution company. 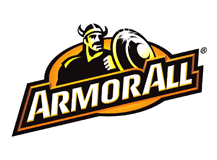 Today, the company’s core business continues to be sales of automotive batteries but is now complimented by the distribution of several local and world renowned automotive consumer product brands. Tropical Battery’s headquarters is located in Kingston, Jamaica with distribution centres located in Kingston and Montego Bay to serve the Jamaican market. 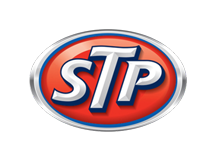 To ensure that we offer the Highest Quality Products and Service at Competitive prices. To develop and maintain a highly competent and motivated workforce. To ensure that the Affairs of the company are always conducted with integrity. 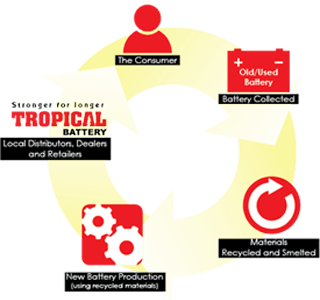 Tropical Battery ensures that all used batteries are disposed of in an environmentally friendly way, by collecting spent batteries and exporting them to licensed recycling plants. This is approved by the Jamaica National Environmental Protection Agency and the environmental protection agencies of the countries where the recycling facilities are located. Over 90% of the materials used to make batteries can be recycled, so this has a material impact on many sectors. Please do your part in helping us to keep Jamaica clean and pollution free. 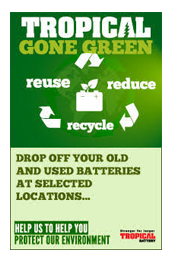 Drop off your old and used batteries at any Tropical Battery stores today. If you have a large quantity of used batteries, call us at 1-88-TROPICAL (1-888-767-4225) and we will arrange to collect from your location.